Notary seal stamps and embossers are custom made to your state’s specifications. These items cannot be produced until we have confirmed your Notary commission. Your state sends us periodic commission updates; however, for fastest processing, please send us your “Commission Certificate” or “Letter of Appointment” via email to services@nationalnotary.org, by fax (1-800-833-1211) or mail to National Notary Association, Notary Seal Processing, 9350 De Soto Avenue, Chatsworth, CA 91311-4926. Stamps and embossers will be shipped separately from non-custom items ordered. After the required documentation is received by the NNA, please allow 2 business days to manufacture and ship. 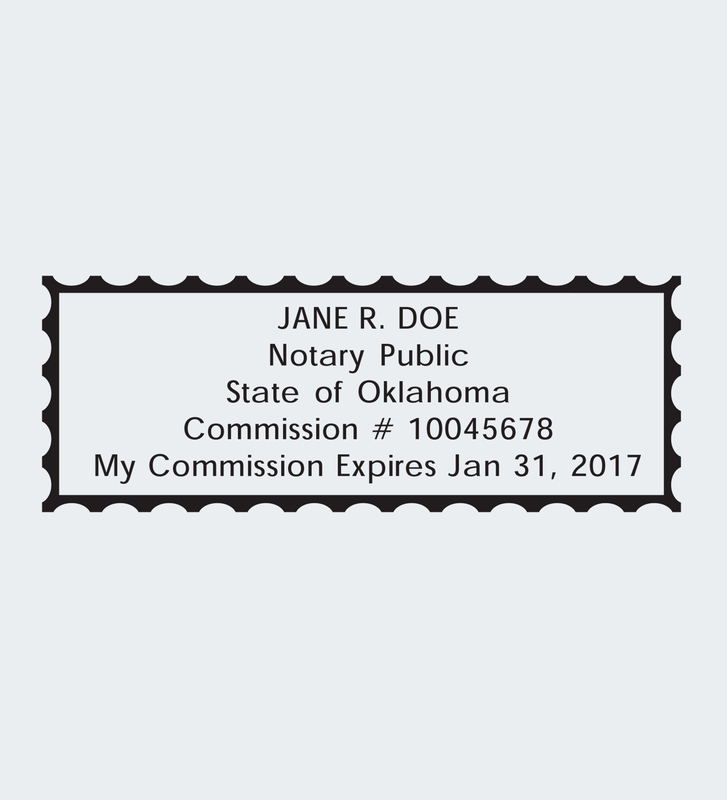 A Notary stamp or embosser is required in Oklahoma. Most Oklahoma Notaries use an inked stamp. 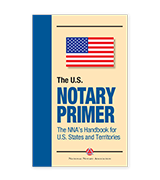 Some Notaries use an embosser in addition to their stamps for extra fraud protection. Notaries are advised to keep their seal in a secure location when not in use. The NNA offers several different stamp choices that are in compliance with state regulations. Stamps are equipped with black ink.